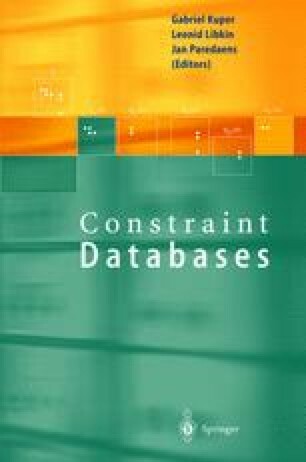 This chapter introduces DEDALE, one of the first implementations of a database system based on the linear constraint model. DEDALE is a long term project started in 1996 as a cooperation between the VERSO group at INRIA and the VERTIGO group at CNAM. DEDALE is intended to demonstrate the practical relevance of this model to handle geometric applications in various areas such as GIS or spatio-temporal databases. The system represents and manipulates multi-dimensional point-sets as linear constraint relations which are nested into classical relational tuples. Although the (global) dimension is arbitrary, the orthographic dimension (orthodim) (see Section 14.3.2) is at most two. This restriction allows for a trade-off between efficiency of evaluation and representation power.